You know that woman in your office? The one who loves cats and Being A Mom and talking about her time share in Myrtle Beach? Who has a rotation of inspirational—albeit misattributed—quotes in her email signature and sends passive-aggressive messages around to the whole company about keeping the fridge clean? You know, Karen? 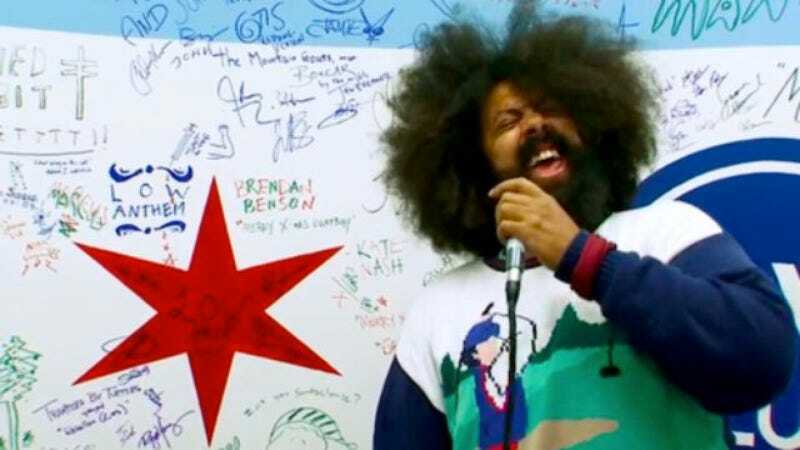 Anyway, that’s Reggie Watts’ new band. What’s the musical setup going to be? Will you be by yourself like in Comedy Bang! Bang!, or do you have a full band? Yeah, I have a band. One of the things I stipulated was that I wanted to pick my own band, and they were cool with that, so I chose a pretty sick crew of weirdos to be a part of this journey. And yeah, they’re amazing. The name of the band is Karen. Karen? Like the woman’s name? Yeah, for now. That may change. So will they announce it at the top of the show as “Reggie Watts and Karen”? Good for Karen! First she gets to chaperone her son Brayden’s school trip to Gettysburg, and now this!